Fashion photographer Reno Mezger captures L’Officiel Ukraine’s latest cover story starring Kate Shushakova and Stephanie Cam from Modelwerk. Eccentricity is an ongoing theme in the photo series that highlights pattern-clashing ensembles and theatrical makeup looks. Styling for this vivid editorial is courtesy of Patrick Lief who works alongside hair stylist Fee Steinvorth and makeup artist Isabel Peters to transform the shoot’s model stars. L’Officiel Ukraine’s latest cover story embodies and eccentrically elegant air and looks to the 80s and 90s for visual inspiration. Its models channel street style stars from another era and pull of a range of clashing wardrobe picks. 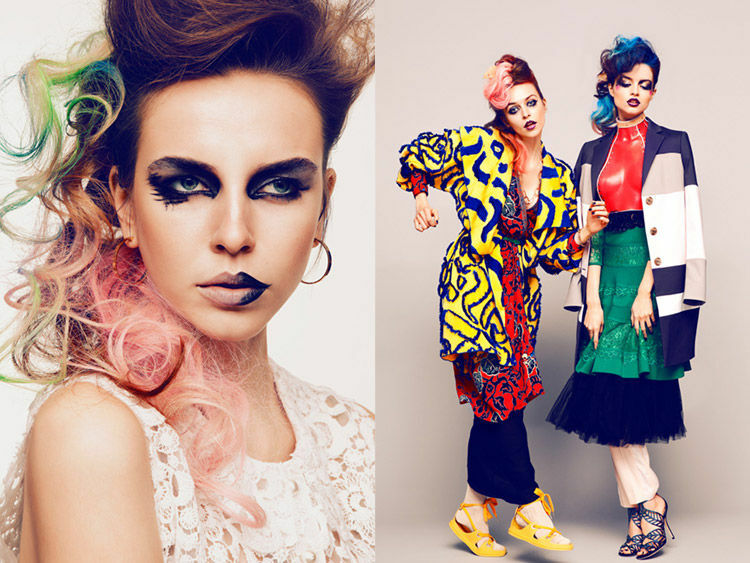 These looks are accented with exaggerated brows and technicolored tresses that are molded into sculptural mullet dos.